High-gloss, water based porcelain and ceramic paint for school, hobby, leisure-time and arts and crafts. Ready-to-use Marabu-Ceramica ist very durable and, after oven-baking (30 minutes at 170 °C), weatherproof, water-proof and even dishwasher-safe. 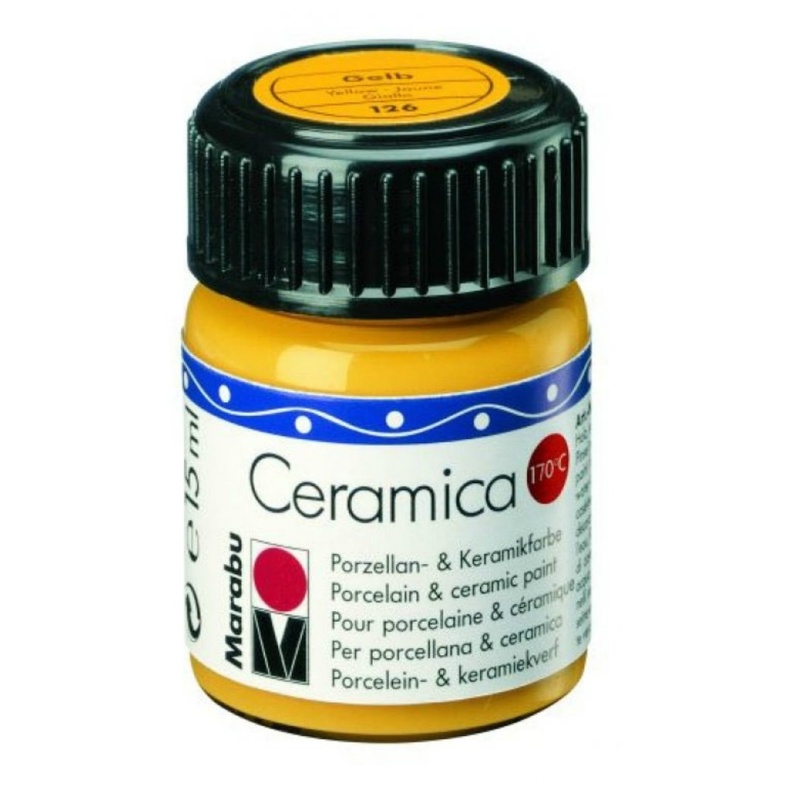 The porcelain and ceramic paint has good lightfastness and paintability; it is ideal for all porcelain painting techniques and excellently suitable for painting on porcelain, ceramic, terracotta, earthenware, pre-fired ceramic, metal, glass and Arcopal®.